All Villas At Trophy Club The homes currently listed for sale in Trophy Club as of 04/21/2019 are shown below. You can change the search criteria at any time by pressing the 'Change Search' button below. 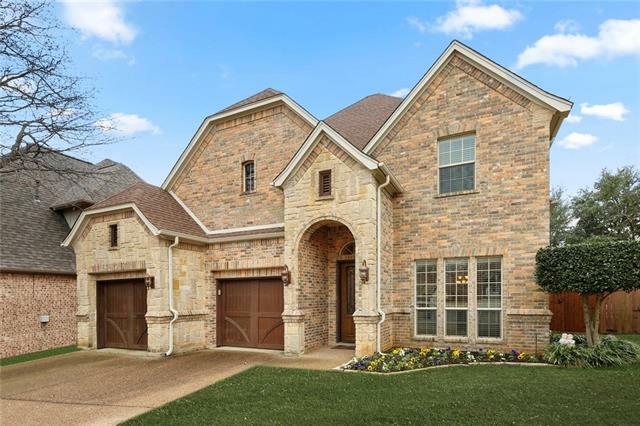 "*OPEN ENROLLMENT IN CARROLL ISD*UNDER $570K*This custom built villa offers gorgeous REAL hardwood floors, soaring ceilings with beautiful moldings & custom built-ins throughout. The main level features formal living & dining rooms, a spacious kitchen open to 2nd living area, with Wolfe gas stove top & ovens, Miele dishwasher & Sub-Zero fridge, plus a luxurious master suite with a dream closet which opens directly to the laundry room. Upstairs you'll find 2 bedrooms with jack & jill bath, privat"